The Xperia L3 carries over some of the characteristics of its predecessors while also coming into its own with its more modern design. For about 200 Euros (~$225), buyers of the slim smartphone in the 2:1 format also receive a dual-camera system as well as the option to use a microSD and two SIM cards simultaneously. We evaluate in our test what else the Sony Xperia L3 can offer. It is not the most interesting choice at the price, but the Sony Xperia L3 is a decent all-round Android phone for those on a budget. Sony's L range of Xperia devices offers a slice of the premium X models, but at a much lower cost. Of course, with this comes a fair amount of compromise. Although the styling is good, and the device has a nice feel in the hands, the bendy plastic back spoils the appearance somewhat. 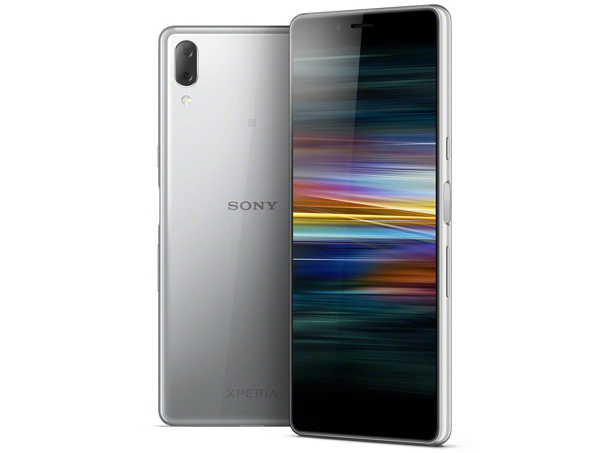 It depends what price Sony sells the Xperia L3 for as to whether we'll recommend it alongside great budget phones like the Moto G7 Power or Honor 10 Lite but the early signs are good. A standard budget phone with a semi-decent camera and new, longer screen, the whole allure of this phone depends on price. If it's reasonable, Sony could hoover those that don't want to spend loads on a smartphone. On one hand, it's kind of hard to be too surprised about Sony's new device announcements, purely on the grounds of the avalanche of leaks that preceded the MWC keynote. Then again, many of said rumors turned out to be nothing more than smoke and mirrors. Whether intentional or not on Sony's part, all that matters is that the devices the Japanese giant did unveil at the Barcelona event still managed to turn quite a few heads. Imagination PowerVR GE8320: En del nyare spel kan spelas med de här grafikkorten, men bara om de är mindre krävande. De har ändå tillräcklig kapacitet för kontorsbruk och film (möjligen högupplöst). Är grafikkretsen dessutom integrerad kan batteritiden vara utmärkt. » Mer information finns i vår jämförelse av mobila grafikkort och motsvarande benchmarklista. 5.7": Den här skärmstorleken resulterar i en relativt stor smartphone, men storleken är vanligt förekommande. Större skärmar möjliggör högre upplösning så att detaljer som bokstäver blir större och jämnare. Å andra sidan är strömförbrukningen lägre med mindre skärmar och enheterna är överlag mindre, lättare och billigare. » För att ta reda på mer om skärmupplösning, läs vår DPI-lista. 0.156 kg: Den här vikten är typisk för smartphones. 74.1%: Det här betyget är dåligt. De flesta bärbara datorer får högre betyg i genomsnitt. Ett köp är inte att rekommendera.